“The Boyz Group” is your one stop shop that provides you with all spares from “bumper to bumper” We supply original used parts – OEM or aftermarket. We are RMI approved. 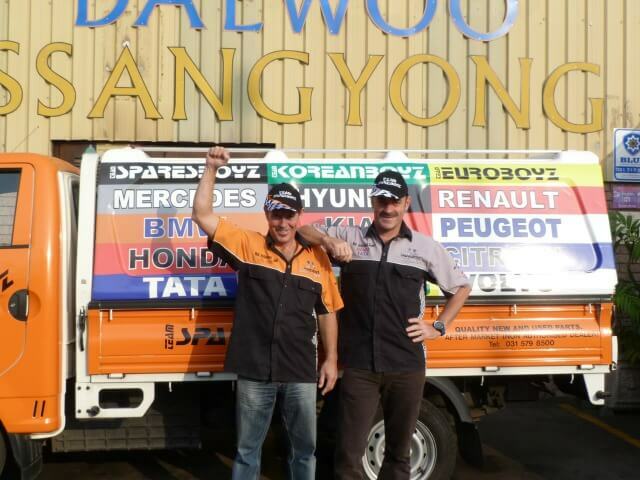 Our salesman are well trained in the brand that they specialize in. We are constantly learning and upgrading our current systems to ensure efficiency and quick service. Replacement Car Parts! We have it! :Do you need replacement car parts for your car? we’re positive you can find the replacement car parts you need at Sparesboyz. Used car parts ! 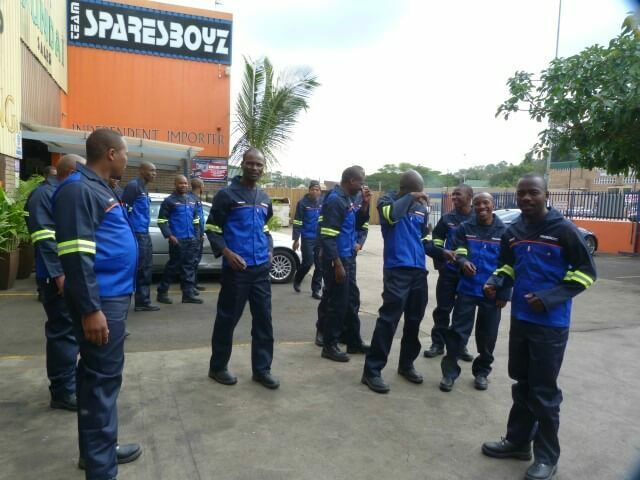 Look no further :Sparesboyz your total solution for quality used Parts or Spares. Aftermarket Automotive Parts: These are basically generic parts that is affordable and a good alternative to the original part. “Big and small, we have it all” from body panels, body parts, suspension, mechanical, electrical, interior, engines, gearboxes, fuel, cooling, steering, vent and brake systems. The entrepreneurs, John Hunt & Paul Shannon have been in business together since 1988, having started and owned a number of successful businesses. In 1990, they started a company called Merbeda, which specialised in Mercedes Benz parts only. In 1991 they expanded this product range by opening a specialised company for Volkswagen, called Volksie, followed a year later with Beemer/ B + O which specialised in BMW parts.Through these companies, branches were opened in Johannesburg, East London and Port Elizabeth, resulting in 12 branches country wide. Expansions in these companies enabled Honda to be added to the Mercedes range, Audi to the VW range and Opel to the BMW range. These companies are still highly successful to this day. Our database exceeds 12000 potential suppliers worldwide with these relationships having been built over the last 20 years. 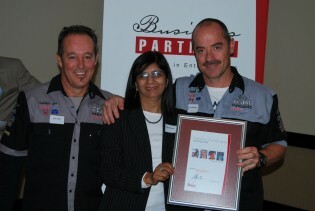 The brand “BOYZ” was initially established with SPARESBOYZ in 2004, specialising in Mercedes, BMW, Honda and Tata spares. Soon after, in 2005, KOREANBOYZ was launched, which added Korean makes of vehicles, including Hyundai, Kia, Daewoo and SsangYong. 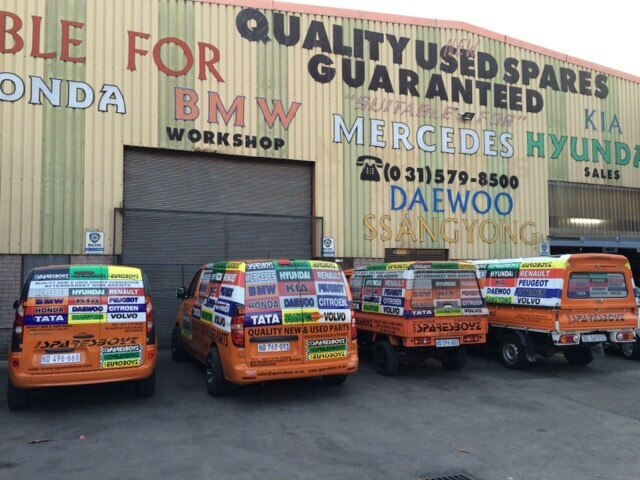 Koreanboyz then opened a branch in Cape Town in 2007. A later addition to the company portfolio in 2010 was EUROBOYZ, which sells parts in Renault, Peugeot, Citroen and Volvo. 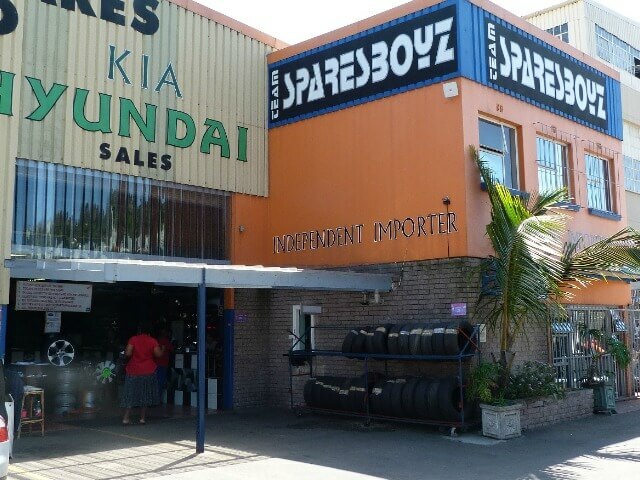 Due to public demand the company grew and additional brands from our Sparesboyz range were added in 2014/2015 being Renault, Citroen, Dihatsu, Tata and Peugeot. In August 2015 Mercedes was added with the remaining brands, to be added in early 2016, resulting in the official launch of “SPARESBOYZ “ Capetown.